Please wipe away that tear. The joy their voices bring. To hear an angel sing. Or the peace here in this place. With our Savior, face to face? As you lift your eyes above. And let your spirit sing. And I’m walking with the King! I see the pain inside your heart. From my heavenly home above. More precious than pure gold. In the stories Jesus told. Or the love He has for you. With Jesus Christ this year! that is a beautiful poem. i can only imagine being with jesus everyday.. thank you jesus for your unfailing love. Nicole Jernigan(4/20/92)__12/20/07_ first Christmas in heaven,,,RIP ,my angel. My daughter Trinity Yasmine Thompson is spending her first Christmas in heaven. God bless you my beautiful,sweet, smart and precious girl. You are missed every moment of the day. I love you forever. To the moon and back. She is looking down on you and ALSO spending Christmas with you too. Jesus Christ(God) is on the ascendancy! I am so sorry for the immense loss endured by all individuals on this beautiful website. The snow might be falling here but I know its sunny upstairs….Mom is closer to me now than at ever before! Oh my Heavenly Father, won’t that be a great day. Just reading this makes me fell Joy, unspeakable Joy.Thank you Heavenly Father. Yes it help me to begin my christmas day. Your music is such a comfort to me. I am 78 years old and have played the piano since I was six years old. The poem “My First Christmas In Heaven” was so moving. Our only child, a daughter, passed away in March so this is her first christmas in heaven. I got an E-mail form AllWorship last night and read it through my many tears. God bless your ministry. So sorry to hear that , I lost my mom, this year June 2015 let’s pray for one another . God bless you . Jesus called my mother in law home in March and my Daddy in June. Tears of joy being shed for them?? Been a hard year here too. What a beautiful poem. Lost my mother to cancer Sept. 19th and my father in law 3 weeks before. Others all around seem to be getting cancer . Remember Jesus lives and He holds us in his hands. My beloved mother went home to her Lord and Savior on May 14, 2015, and here I am , three Christmases later, missing her every moment of every day. This poem has brought joy to my heart, just attempting to envision how truly, gloriously happy she must be. i wonder if she has met your mother yet!! I will remember you in my thoughts and prayers. I am so sorry to hear of the loss of your daughter. I know how much you must miss her. I lost my dad to cancer on March 21, 2012. And I miss him terribly even to this day. This poem is beautiful and I can still she Dad being part of that heavenly choir. My, how he loved to sing! I can’t tell you that it will get easier, but I can say that the race of God Will get you through it. Will be praying that God will ease your pain and replace it with wonderful memories of your daughter. God bless you today and always. Love this poem, I can just hear many of loved ones gone saying this. AMEN TO THAT I CAN HEAR MY DAD BILLY HAROLD HIX PLAYING THE PIONA NEVER TOOK A LESSON N HIS LIFE PLAYED BY EAR AND NEVER MISSED A NOTE IT WAS MAGICAL TO MY EARS!!!! I LOVE AND MISS YOU DADDY!!!! AND THE REST OF MY FAMILY THATS UP THERE WITH YOU WOULD YOU TELL THEM FOR ME I TELL.YALL BUT DADDY YOU TELL.EVERYONE FOR ME TOO OK I LOVE AND MISS YOU YAND YALL!!!!!!!!!! MERRY CHRISTMAS AND A VERY HAPPY NEW YEAR TO ALL OF YOU MY LOVED ONES IN HEAVEN I LOVE ALL OF YOU AND MISS YOU ALL!!!!!!!! HEAVEN IS A PLACE OF BOUNTIFUL LOVE, FINALLY MOM YOU AND DAD CAN CELEBRATE LOVE,PRAISE AND WORSHIP TOGETHER ..THE WORLD SEPERATED YOUR LIVES AND ROBBED YOUR FUTURE..PRAISE GOD FOR YOUR END HERE IS NOW YOUR BEGINNING TO ETERNAL LIFE…THANK YOU FATHER GOD FOR YOUR SACRAFICE THAT IS OUR SAVIOR JESUS CHRIST,BECAUSE HE LIVES WE HAVE LIFE EYERNAL WITH THEM WHO LOVE ,LIVE AND FOLLOW CHRIST ITS IS A CELEBRATION…UNTIL I RECIEVE MY INVITATION MOM I WILL THINK OF YOU WITH ALL MY LOVE…. This was inspiratial and will help me this year with loved ones who left me recently this year. Thanks for sharing. Our 24 yr. old son just died of a sudden heartache. Brad Towe. Brad was a strong Christian with a wonderful wife and 7 yr. old twins. Besides Brad’s work he was a Sunday School teacher to boys at our church, Hendersonville Church of Christ. He was also a basketball coach to his son’s team at our private Christian school where his children go along with it being where Brad went to school for 12 years. Please pray for Brad’s family, especially his wife and twins along with his 2 brothers. Dianne, I am praying for you and Brad’s family this morning. I can’t imagine the pain and loss you are all experiencing. May The Lord pour out His comfort and peace upon you. We also belong to church of Christ here in Oklahoma City. This poem says it all I am so honored to be a child of God. Thank you for this special poem. This is a very nice poem a coworker gave it to me when my mom went to heaven last year. To my husbanf, Bill and son, jimmy. Miss you both. No more pain. This song was written by Maurine P. Smith, President of the Daughters of Utah Pioneers and is now a song put to music by Michael Smurthwaite. The poem is copyrighted to Wanda Bencke. According to the memorial page on FindAGrave.com for Wanda’s daughter Lysandra Kay Bencke, Wanda wrote the poem after the death of her 13-year-old daughter on Dec.30, 1997. To my sister Lisa Marie who passed away 7/18/14. A very brave woman who fought a good fight battling breast cancer. I love you and miss you. Our son, Christopher, (meaning Christ-bearer) died a year ago in September. He was 47. Thank you for sharing this. I could “hear” him speaking. This is very helpful as that loss will never go away. Peace! i lost my Mom this year, and can imagine her saying exactly these words to me. I’ll support as special days for all friends and admirers on fbook, instagram, google+,linkedin, wikipedia, twitter, etc… Tanks and ood following days. Happy new year as anticipation. A friend found this and sent it to me this morning. My husband passed away unexpectedly November 19th, 2014. I have been trying to celebrate his new life and rejoice for him daily, but my heart is still pierced with the agony of loss. His favorite music was Bing era Christmas music so I rewrote the words to I’ll be Home For Christmas to sing at his memorial. Wish I had one more chance to show you and tell you how much I love you. Lost my mom on February 22. Her birthday was the nineth. My heart is so sad. Then I see an hear this, an know in my heart this is the best Christmas mom will ever have. This was poem is just beautiful. I loss my husband of 29 years on 5/10/2014. I know he is in heaven singing with the Angels and in the arms of his Jah and Savior. Until we meet again my love. Rest in eternal peace. Lloyd David I will always love and miss you. Your Queen Keva. Just lost my beautiful 17 year old niece on 12/11/14 she was in vehicle accident. Thanks for the poem it helps ease our pain for she is having Christmas with Jesus our King! We love and miss you our sweet Angel but we know you are with our King! Gracie Marie this is your first Christmas with Jesus. We sure miss you. The house just isn’t without you. I keep expecting for you to be here. Think about you every day. Webbie and Reno I still miss you two like crazy. Merry Christmas to you all and I love you to the moon and back. My heart still ache for my daughter Katrina Dayton Barnett.pass January 5,2014 And my aunt Barbara Bucceri. Passed August 19,2014. It does bring me comfort knowing they are with our lord and savior. We love and miss you both. Also our other family in heaven. We will all be together someday soon. What a wonderful poem it came to me just when I needed it ! I love you and miss you Dad & Mom . I have all the wonderful memories from our past Christmas’s and they are what I am hanging on to ! That was beautiful. It sounds like something Colleen would think about in her heart. She was that kind of person. I to just lost my beloved husband Dec 4th of this year God let him kiss me goodbye before he took him home.It truly was a. Blessing , he suffered greatly And I know he is walking with the Lord now. In loving memory of my nephew Chad Fieweger 3-11-92 to 6-4-14 and my grandson Ayven Nelson 4-1-14 to 7-7-14. I love and miss you both everyday. The above poem was written by Wanda Bencke. Wanda’s thirteen year old disabled daughter, Lysandra Kay Bencke had a seizure on December 25th 1997 and lapsed into a coma for five days before she passed away. It was during those five days that Wanda reportedly wrote the poem. That year she sent out belated Christmas cards to friends and family that included the poem as well as telling the story behind the poem. Since then the poem has touched many hearts. The poem is beautiful and I miss my husband so much he been gone 15 yrs but I will never get over losing him. He was everything to me I love you honey Charles Williams see you soon! Linda, I know how you feel. I lost my Mom to Alzhemier complications on Dec 13, 2013 and my Dad to cancer on AUGUST 19,2014. I miss them so much but I know they are in God’s hands. This is a great poem. This made 12 yrs without my brother for Christmas. God bless everyone. Love & miss you jeni and all that gone before. How beautiful to imagine my mom and sister saying this words. My first difficult Christmas is the first most beautiful for them. I lost my mom 11-5-91. There is not a day that how’s by that I do not think of her and miss her terribly and she told me before she passed do not shed tears for me because she would be happy where she was going. Yes I cry, but I know that she is watching me from above and then I smile. She is with my dad who passed four years before she did and I know in my heart that they are together. Even though I was adopted by them both I feel very blessed. Thank you dear Jesus. This is beautiful, lost my son Oct. 26,2015. This my first child to be in heaven with Jesus at Chr stmas. We all miss you an love you. Have merry Christmas with Jesus. Ty, this is so beautiful, losing Susie, my good sister in law just yesterday on Christmas Eve has been so hard, this helped a lot, God bless. To my mom who passed away 7/27/11. She loved to decorate and have her grandchildren over to open presents..I love and miss you very much. Love Sis. My friend Kenny Lebeau shared this poem on his FB page on Christmas eve and then he died of a massive heart attack about 24 hrs later on Christmas night. Tell your people how much you love them TODAY because we were never promised tomorrow. Angela, my best friend,wife,for 32 years. Mother of our Twins. She was called home to JESUS, Oct.10,2014. Angela I will miss you till the day I am with you. Mack Montgomery and Rueben Sanchez I miss and love u guys so much. But Im so glad when god took u two on April 1, 2014 u will b with each other til we r together. And Mack u now have our Troopy with u just take care of my puppy my baby til we r together again. I love u my husband my best friend, soul mate. my nephew found this poem on Christmas Eve. Little did we know, his mother, my sister ,would spend Christmas this year with Jesus. She passed away Christmas morning. It is so appropriate for our family and was as if it was sent to comfort all of our family. i PRINTED THIS OFF AND PUT IT ON MY DAUGHTERS GRAVE (37) IN SEPT 2004. HAVE LOST MOTHER, FATHER, DAUGHTER, GRAND DAUGHTER AND WIFE ALL WITHIN THE LAST 11 YEARS. THIS IS VERY COMFORTING. My beautiful sister Jennifer, who loved The Lord and couldn’t stop talking about Christ was a mother of four young boys and she passed away 12/20/14 in an untimely manner. Jennifer, you would light up the room when you walked in, no matter day or night. You touched so many peoples lives that you didn’t even know about….especially mine. I am truly sorry for the tough love that at the time I thought you needed. I hope and pray you understood and could forgive me, because I can’t forgive myself. The last two months of us not speaking has opened up a huge hole in my heart while your heart was the one that needed the love and understanding from me. Forgive me Jennifer and now that your perfect, ask Jesus to help me forgive myself. I Love you sis. I loved this poem and will always love those that have gone before me and will keep them all in my heart. This has been a wonderful way to look at the holidays when we are still our mourning the loss of a loved one. Thank you for all that have shared this, I know it has helped me. I miss you Emily and Maryann. Thank you Steve for sending this poem to us. I will always love and miss you, my wonderful brother. Just lost my son *12/18/14 this is the most difficult thing ever in my life.Blake mono misses u more than words will ever say!!!!!!!! This is a beautiful poem!!!!!! Such a sweet message. What a wonderful descriptive of what it might be like to be with Jesus. Praise to the King! Our mother passed away 11years ago this coming 2015 Christmas morning. I know my sister will love this as much as I. Our son, Peter at 16 was killed as a result of a car accident 11/23/13. This will be his third Christmas in heaven. Reading all these messages is comforting I’m that I’m not alone; there are so many people who are feeling the same acute loss right now. Christmas is so much more meaningful now, knowing Peter wouldn’t be in heaven if Jesus hadn’t come to earth to be his Savior. Still, it’s lonely without him. It blows my mind to realize God willingly gave His Son to die, when it hurts so much to have a child die. Such a Lovely Poem for such a lovely person, I know you will enjoy this Christmas with our Lord and saveure Jesus Christ, I miss you so very much and now at this time of the year………. I love this poem. I can imagine in my mind what it is like by the description you gave. Wish I could see for myself what it is like and meet my family all that have passed. And being with someone I know who watches over me and the entire world. My mother passed away fifteen years ago.I do donate blood on my mother birth day October15th and father birth day on December25th every year.This poem make me though of my mother an father. Thank you for that wonderful poem God always has a way of being there to comfort us and send us a message from our sweet angels in heaven. We lost our sweet baby, Pete, at 35 weeks on 11/23/15. This will be his first Christmas in Heaven. The line that struck a chord for me was “For I can’t count the blessings or the love He has for you.” We have felt the love of God in a way we’ve never before experienced and I am so thankful for the words you penned. You made me cry! What an encouragement to a mama whose heart is still very broken. Thank you. There is nothing harder than having to bury your child. I had to do that this year. My 25 year old son died suddenly of myocarditis Easter morning April 5 2015. It is the hardest thing any parent would have to do. My friend sent this to me and it is by far the most beautiful poem that I have read. I will read it everyday to help get me through my first Christmas without my beautiful son. I miss you so much Johnathan! I hope your first Christmas in heaven is a beautiful as this poem? I, too, lost a child this year … just two weeks ago on Dec. 3, 2015. You are so right – it is extremely difficult; almost too hard to wrap your head around. My daughter, Cathy, was 51 and died of a massive heart attack. Eventually, the pain will ease and life will go on, but life can never be the same once you’ve lost a child. Stay strong, Michele … and know that one day we will be able to remember them thru smiles rather than tears. My World has Changed when I lost my Dad this year, Yet when I read something so Beautiful as this Poem I feel him right by my Side as he always was..Thank You Dad for being My Angel on Earth and now My Angel in Heaven. ..Your Michael. .
To my loving wife who just passed a few months ago. When I’m sad and miss her, I think of the freedom she is in and no pain, but pure Joy in heaven. Somehow I know she is celebrating with me in heaven. She and the angels rejoice……… Until we meet again, be sure you are missed and loved. I really believe the poem is right on. To be in heaven with God is truly the ultimate goal. To God be the glory. We miss our daughter Bronwyn who went to be with the Lord on 15 August 2015. She loved Jesus so much & showed this in her walk through her life on earth. She left this legacy with every one especially her children. We can just imagine her joy when she saw Jesus standing beside the throne of God the Father to welcome her. My husband passed away November 5th 2015 the day before his 42nd birthday. He has left behind me and our two daughters (10 and 6) who miss him so much. Our two daughters and I don’t feel much like celebrating Christmas this year with out him. We talk about what he is doing up in heaven everyday and trying to be positive that he is having fun with Jesus now and watching over us everyday. Thank you for this my daughters really liked it. I really needed this today thank you. God Bless everyone! Oh my Darling . Sweetheart I miss you so much.?. I know God came after you to get you out of pain and so you could breathe again it’s only been ten months but it seems like an eternity since you held me and kissed me. I do thank God for the 30 wonderful years I was your wife and I thank Him that out last words were “I love you.? “and then in minutes you were gone. I know you are rejoicing and waiting for me , so just know I love you and one day I will be with you again throughout eternity. it is 1 year ago today (dec 20, 2014) that a wonderful, special lady went home to be with the lord. oh how i miss you, you are my special angel . rest in peace helen. I LOVE POETRY, BUT THIS IS POSITIVELY BEAUTIFUL. I HAVE MY FATER AND MY MOTHER ARE BOTH IN HEAVEN,and MY FAMILY ALL MISS THEM VERY MUCH. On the 21st of November I lost my 39 year old wife of 11 years and this will be our first Christmas without her. We have a 10 year old boy as well. I will definitely be showing this to him. Thank you and God bless. My 8 year old Rylan son passed away on September 24th 2015 after a 9 month battle with brain cancer. It will be his first christmas in heaven and my first Christmas without him 🙁 we love and miss you so much baby. Hope you have the best Christmas ever in heaven. I can’t wait until we are together again. NO WORDS, JUST LOTS OF LOVE, THOUGHTS AND PRAYERS!!! The reason for Christmas is because of God love for mankind. How beautiful but so sad. Bill & I don’t know how to go on without our beloved daughter of just barely 36 years of age. Our life’s will never be the same but someday hopefully will be able to cope. May her first Christmas is Heaven be wonderful and Thank You for this blessed poem. Prayers go out to everyone that lost a loved one young or old. what a lovely poem.we lost our baby at 3 days old in july 2015 now she is with all the other angels in heaven.we are still strugling and grieving for our baby ruby. Beautiful words of comfort just when I needed them. Mom made her journey to heaven Dec. 13, 2015. I know without a doubt she is with my Dad who made his journey July 10, 1983. They are together again, celebrating their 58th wedding anniversary tonight looking down at all the beautiful Christmas lights. I love & miss u both so much, but I know we will be rejoicing together one day! Merry Christmas daddy in heaven! I know it is beautiful! We love. And miss u so much! merry christmas, mysweet son,jeff i miss u so much, i love u. i know u are in heaven. Lost my best friend this February. My mom. I miss her every day. But I also know, this will be her best Christmas ever…. I miss you mom and Dad.Ralph and Victoria Dybdahl merry Xmas together once again forever. Lost my dad in march of 1979. He knows my feeling inside. I talk to him often. It gives me comfort to know he hears me all the time. Thank you Jesus for your unconditional love and kindness. Thank you for this awesome poem. May the Lord Jesus Christ bless you all always. I know you are correct. However as a mother trying to cope with the loss of a child year after year. The pleasant visual aids of the poem. Pull the pieces of my broken heart together for a moment. So that I can focus on the loved ones still here. And avert another bout of depression. Yes I’m am Christian. But are you a parent? What a wonderful poem and one feels the great warmth and love. Thank you for sharing this with everyone. My niece sent us this beautiful poem. We lost my mother on May 14th, 2015, from a car accident. My father was in it also and he survived. This poem captures exactly what my dear mother would say to her family. We are all very close and the Good Lord is helping us through it. I love and miss you so very much Mom. Until we meet again…..
My, beautiful sister,is spending her 1st year in Heaven, I am sure she is with our family ,that has gone on. They must be looking down ,on us. Singing with the angles. Walking with Jesus, You are no longer in pain.from that old cancer. We,love you ,and miss you,But God knows best. This poem is so comforting. My father passed away in October this year. This is his first Christmas in heaven. Thank you for sharing the poem, your stories, and prayers. lost my dad March 24, 2016 and my husband of 23 years on August 2, 2016. I know beyond a shadow of a doubt that they are both in the presence of God and that I will see them again one day. This Christmas is going to be extremely difficult, but I now that God will give me the strength and courage to get through whatever comes. This poem meant a lot to my husband and I when we lost his mother and father a few years ago. I know that it will be a comfort to me and my family this Christmas. My mum died on her and dad’s wedding anniversary 27Nov (2016) the minister said this poem at her funeral and it brought us comfort . I hope she is with our dad Tom and her mum and dad Alex and violet. We all love them very much and Christmas will no be the same without them. Love you both forever from Mag, Tommy, Brenda, Alex, Angela and Diane. Thank you for sharing. I am a bit of a poet myself so I know this came from ypur hrart. Merry Christmas in Heaven to my husband Richard and my brother Ronnie’s son Chance. We love and Miss you bunches and bunches. Daniel, I am so thrilled and excited that you are with Jesus Our Savior for your first Christmas in heaven. We should all be as happy as you are. We shed many tears of loneliness for you but you are in his glory without pain or worry and now have your spiritual healing. 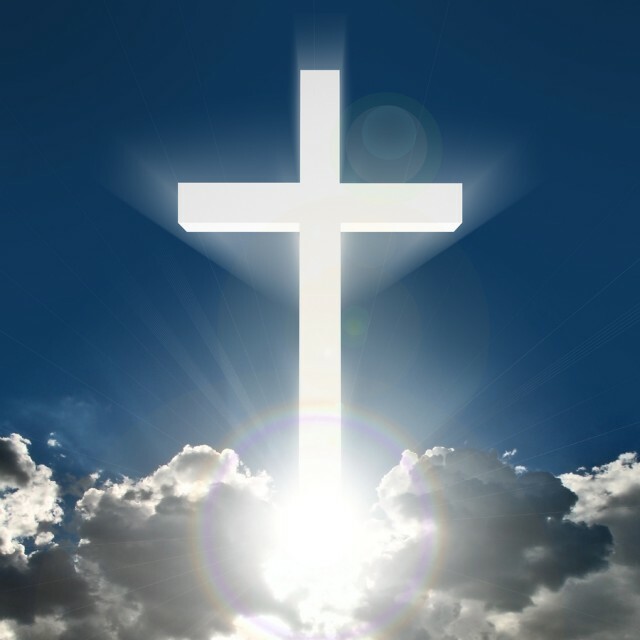 We all love and miss you but you are our shining light in HIS glory! One will ever separate us again. – And that hug …. i really won’t ever let you go again. Merry Christmas Genie and Daddy! I love you both beyond all words!!! We lost our Mother in 2013 to lung cancer, and Sept 16, 2016, we lost our baby sister to lung cancer. It has been really hard on my sister and I, we were all very close. I know she and Mother will be singing and keeping an eye on us, and saying don’t cry, I’ll be alright. We know they’re are in a better place than we are, but it don’t help the pain in our heart. Maybe time will help, and one day we’ll all be there together singing in that heavenly choir. Mother 82 yrs. Lisa 60yrs. Paul i realy love this my son passed away in 1966 Dec 24 and that is the Reson i love this , it brings me back to that time with the great love and hope i have for him and i n JESUS. Nice sentiment, but it doesn’t help me. I hope it provides comfort for someone else, though. I lost my mom and my sister this year and my dad 4 years ago. This will be their first Christmas with them all together again. I miss them all so dearly but I know one day I will be with them all. In memory of my beautiful and precious daughter Kirsten. My heart is broken but I am not a broken person. I was blessed t have her for 41 awesome years and I know she is now a precious Angel watching over me. I love you my forever Angel??? GOD bless to my family and friends. This is beautiful I lost my sister on March 9 th of 2016 and my Husband march 29 th of 2016 we were married 60 years and this is there first Christmas in heaven and my first Christmas without them . But the joy I know my husband and sister are having in heaven with Jesus and all our family . Makes me happy for them but sad for me but I know Jesus knows best .but he would tell me not to be sad things will get better. This is so inspirational. We lost our 21 year old son July 2nd, 2016, the saddest day of my life. He was such a beautiful son and we were so close. I know he’s truly loved in heaven! They say it gets easier as time passes..but when? Every day that passes brings me one day closer to be with him. Love you Taylor Joe? We love you and miss you Lee! My cousin sent me this poem. My grandson Julian, 9 years old, was in a car accident on August 20, 2016. I say accident, however, when someone drives under the influence, it is no accident. Four days later, August 24, 2016, Julian was confirmed brain dead. It has been very hard to comprehend Julian will not be here for Christmas. This poem is absolutely right on. I know Julian is with our Lord. That is the only thing that gives me peace. Pray for Julian’s Dad, Mom and his sister and 2 brothers. God bless all who have suffered a loss of a child, no matter what the age. Iona Karber 10/29/1927 to 11/08/2015 You will forever be my rock and my foundation mom. It’s my consolation that you are now breathing easy and resting in peace in Heaven. I miss you and I love you. Merry Christmas in Heaven My Sweet Precious Mom! Through my tears, I am writing to thank you for this beautiful poem. It could have been written by my husband as he wrote poems each year for our Christmas cards. This is the first year our family will not be complete as I lost him in August to cancer. Everybody loved him on earth and I’m positive it is the same way in heaven. My faith says we’ll see each other some day, and I believe it is truly the way. Honey, I miss you so much and will love you forever. I needed to see this today. My sister passed over on June 2 this year. We were very close. they will understand her brightness,and brilliant shine is all around her and she will help them lead the way…WE ALL FEEL YOUR GLOW & WARMTH HONEY! TIL WE MEET WITH YOU AGAIN OUR ANGEL….. This is a beautiful poem!!!! I would like to dedicate it to the family, friends, and fans of “Elvis Tribute Artist” Keith Henderson of Chapel Hill, NC who passed away unexpectedly on November 22, 2016 as a result of suffering a massive heart attack!!! By sharing his gift with us Keith brought much joy anhappiness to so many!!! On October 15th, 2016 Keith performed at a Benefit for my husband who has stage 4 kidney cancer!!! Most performers usually charge for benefits but not Keith!!! He traveled 65 miles to perform and did not charge anything!! We were allowed to keep all the proceeds from the benefit and put it on my husband’s mounting medical expenses!!! I know he is enjoying singing with Elvis who was his idol since he was 3 years old but most of all I know he is enjoying singing to the King of Kings our Precious Lord and Savior Jesus Christ!!! Keith’s birthday is Friday!!! Happy Birthday Keith and Merry Christmas my dear friend!!! Even though I know your family would prefer to have you here they can be comforted by knowing you will be celebrating both with Elvis and Jesus this year!!! Mom left us Dec 20 so this poetry was so supportive and beautiful. Blessings to all who posted here and beyond. May you find peace and healing from your pain and challenges. Natalie Ramirez Dimas 3/4/75 – 9/25/2016. Merry Christmas in Heaven baby, I love you & miss you every day…till we see each other again…. This is my Mom’s first Christmas in heaven! I sure do miss her but I know her and Dad are having a great time together! She was so ready to leave this Earthly home and she is no longer in pain nor sick. Until we see each other Merry Christmas Momma and Daddy!!!! Pastor Dwight Smith, March 26, 2016, 5:30 pm. So sadly missed, by the whole family. Such a gentle, kind man. A blessing to many. Loved dearly and missed by your wife, Jean. That is such a heart felt poem – lost my son 14 years ago and not a day goes by that I don’t miss and think of him. I love this & it gives me comfort. Jonathan left this earth on June 16, 2016. It was so sudden. He was killed in a work accident. He was the love of my life & will never be forgotten! He spent his first Christmas with Jesus this year & I am so thankful because there is no one I rather him be with! I know you are having a time of your life with your daddy, Papaw (aka Arley), Granny Calvert, Papaw & Granny Thomas. I bet you have rubbed your hands together a million times since you left me. I love you & can’t wait until we are together again in heaven!! Thank you Asta for such a lovely poem. I certainly miss my beloved parents Henrietta and Raymond. My lovely sisters Angela, Sonya ,and Mary so very much. It is comforting to know that they have Eternal life with Christ and nothing here to compare with that. Our memories sustain us until we see them again. My prayer today is for those who do not know that peace. You are loved by many who know how you feel. Such a beautiful poem. It reminded me of my grandma, who was a wonderful woman of God. I also told a friend at church to go on the site and read it, for she lost her dad just this morning. This is such a touching poem. Like others, I lost my dad in 2013, then my mom joined him in July 2017. Tears are flowing as I read this. I miss them so much. Went to the funeral of a young man, his name is Colin Rish and we was just 23 years old. the fact that he was just 23 was tough enough but when the Priest read this poem there was not a dry eye in the house. I will remember this funeral and this poem forever. It will touch me every time I read it. For my beloved father….12 October 2017. A patriot, father, soldier, husband, friend…. Love you dad …. I lost my last sibling in Oct. 2018. She begged Jesus to come for her while she was in Hospice. She left 2 children and several grand children who are grieving as I am. It hurts even though we know she is not in pain but she is rejoicing and waiting to see all her family there one day. My darling wife Shirley. She went home to be with Jesus on 27th January 2018. She knew where she was going and told me “He wants me”. Such a wonderful lady, lover and best friend. I know she is watching over me and I feel she is happy I am learning how to move forward. Thank you for everything and every moment we had together darling. To my sis,mom, father,grandparents in Heaven with Jesus. I am having a hard time this year with Christmas. I lost my sister in September ,I know she is with Jesus. Still the pain of loosing her still hurts. She led praise and worship at her church so she is in the heavenly choir.This poem makes a little easier on me. Wishing everyone the best Christmas you can have.Remember we are left here to suffer, our loved ones are now walking in the Glory with Christ. We all could use some encouragement and inspiration! So we will give that to you, once a week and for FREE. 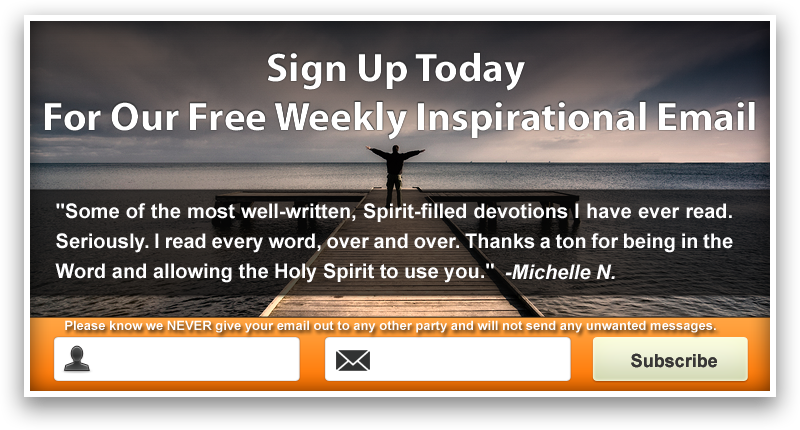 Enter your email address below to sign-up for our inspirational email. 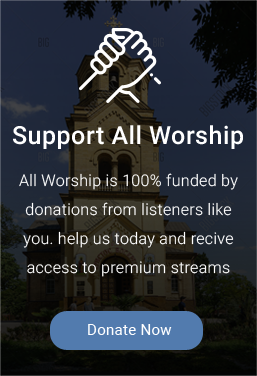 AllWorship is 100% funded by donations from listeners like you. 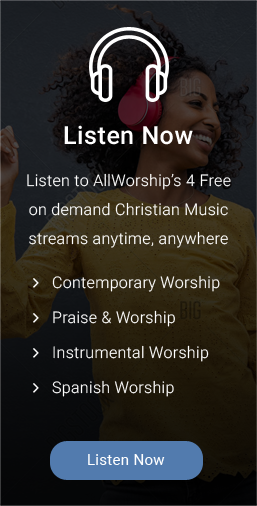 Help us today and receive access to the premium streams!